I love a good fragrance, and when it comes to adding to my beauty shelf, I’m willing to splash out a little more on a signature scent. Recently I was introduced to By Kilian, in all honesty - a brand who I wasn’t very familiar with at all. The lovely Roy, who is the brand ambassador for By Kilian invited me for an introductory session at Harvey Nichols Beauty Bazaar, to get to know the brand and products. It is sold there exclusively to anywhere else in Liverpool. So if you want to get your hands on some – that’s the place to go. By Kilian launched in 2007, with the mindset of reflecting Kilian Hennessy's distinct personality and create a perfect balance between elegance and uncompromised luxury. His 'eco-luxe' philosphy is that each bottle is refillable and can be kept for a lifetime. 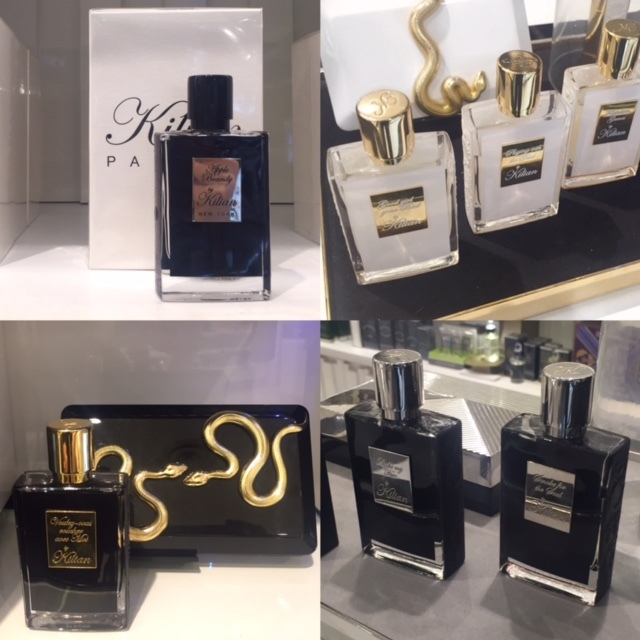 After a lovely cup of tea and a great brand intro, we headed to the perfume counter to sample a few of the scents. I had already discussed with Roy the kind of things I go for in a perfume; nothing overly floral but woody, spicy and borderline unisex is what I like to wear. The stories behind each bottle of perfume are incredible, a lot of creativity and love has built this brand to what it is today. The tagline for the brand is 'perfume as an art' and after listening to the background and the production process, I totally get it. I was lucky enough to pick a bottle to keep, and after much deliberation (sorry Roy!) I went for Sacred Wood from the Asian Tales collection, a gorgeous mix of smoky sandalwood, steaming milk and hot spices. Literally right up my street! The bottles all come in a gorgeous black satin lined coffret, lacquered by hand! Best of all, if you show this post at the By Kilian counter at HN Beauty Bazaar (or any of my Instagram images that include By Kilian) you get a sample kit absolutely free! Winning. What are you waiting for? Your nose will thank you, trust me.